Water retentive pavement which absorbs road surface temperature is one of countermeasures against urban heat island phenomena and has gained attention recently. This pavement utilizes vaporization heat that occurs during evapolation of rainwater stored in a water retaining material contained in the pavement to suppress its surface temperature rise. 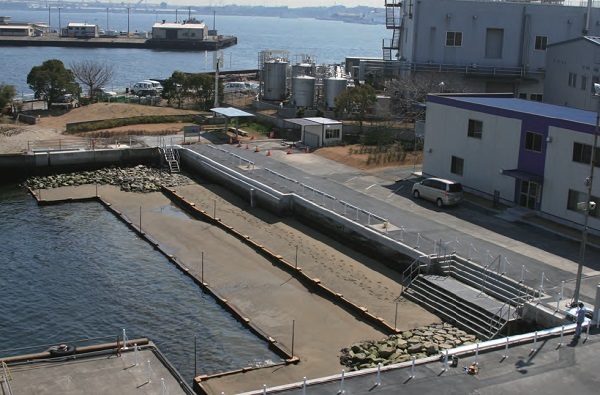 In this project, we developed a new water retaining material utilizing sludge from water purification plants. Sludge, which is normally dumped as industrial waste, was processed into a cement-based environmentally-friendly material. 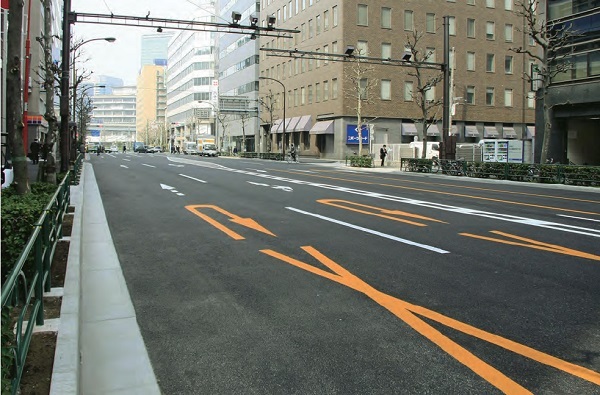 Results of the field tests implemented jointly with Tokyo Metropolitan Government and Osaka Municipal Government showed that the rise of road surface temperature containing that new material was suppressed by maximum 20 degrees Celsius and proved the effectiveness of the material. This project is a new environmental improvement scheme which enables to realize harmonization with the natural environment, public space and disaster prevention including reinforcement of decrepit structures and seismic retrofit in the limited space of urban waterfront. The feature of seawall in the project is the terrace structure which enables to respond to site conditions and to provide an equilibrium slope in tidal flat and necessary water depth for ships sailing around the area. Moreover, in the tidal flat and rocky shore inside the constructed seawall, various organisms including benthic bivalves have been observed, which means a favorable environment for the habitation of living organisms. 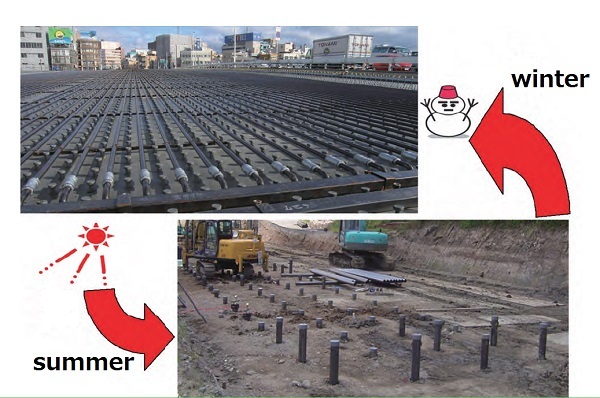 Solar energy is stored into underground energy piles using heat dissipation pipes embedded beneath pavements as solar heat collectors. Because those energy piles stand close to each other, thermal interference occurs between them. Accordingly, the heat stored under the ground is not released quickly and can be used for snow-melting in winter. Moreover, related technologies for such as installations of foundation plies, pavements, bridges and decks, thermal analysis and snow depth sensors have been developed. This new snow-melting system has reduced the initial construction costs of conventional systems by 1/3 and the electricity used by circulation pumps has been used approximately 1/20 of that of an electric heating system. This system has been installed on bridges, roadways and pedestrian passageways around the prefecture. Ozeki Waterfront Park was completed in 2002. Many people from different backgrounds including local residents, universities, private companies, NPOs, and government have played their appropriate roles in park utilization and maintenance activities. 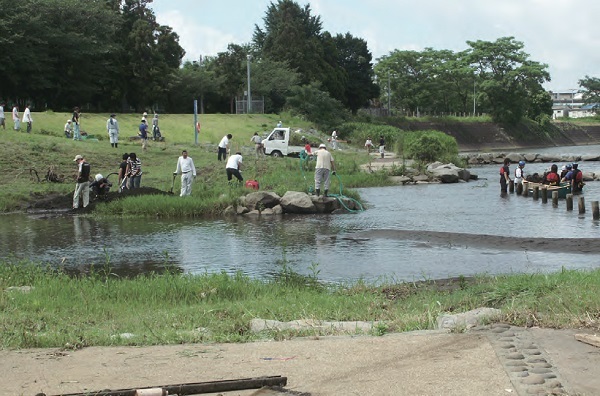 They have made continuous efforts to create a better environment around Shirakwa River through cooperation and coordination with each other. This project aims at protecting coral beaches from serious erosion at Sanur, Nusa Dua and Kuta and also the sea cliff from collapse on which Tanah Lot temple stands in Bali Island of Indonesia. In order to restore and conserve their coastal environments, artificial nourishment has been applied to those three coral beaches, and submerged breakwaters and sea cliff protection with reinforced concrete panels have been installed around the sea cliff. Further, artificial coral transplantation has been carried out to recover damaged coral reefs at Kuta. 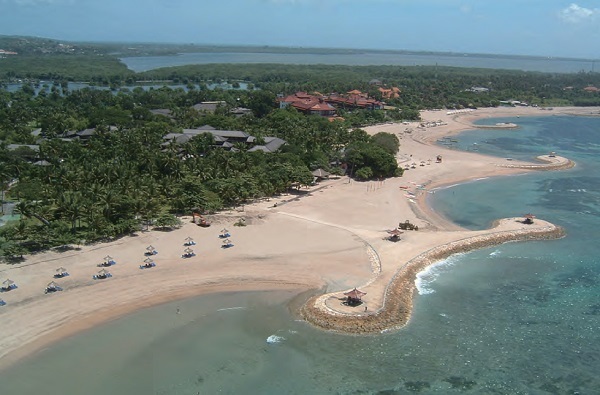 In this project, the Bali’s beaches and costal areas have been restored and conserved successfully. The sludge generated in construction sites may contain cement with hexavalent chromium, thus it needs to be properly treated as industrial waste. The treatment of such sludge could increase burdens on the global environment in addition to increase in treatment costs. New methods to detoxify the sludge to be recycled quickly at low costs with less environmental burdens are necessary. In response to this need, Bio-Neutral Method has been developed. This method promotes fermentation in the sludge by adding anaerobic fermentation to reduce pH and hexavalent chromium in the sludge. Treated sludge can be used as a vegetation base. 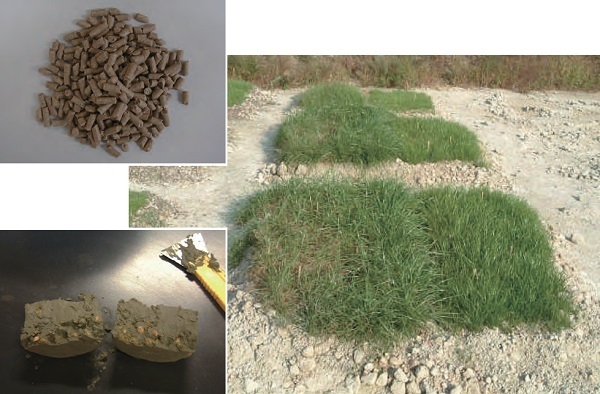 The Bio-Neutral Method is considered as the technology meeting the needs of society.